The history of chocolate is something that countless people tend to take for granted in today’s world. It is very rare to find someone eating a chocolate bar to stop and think, “what elements of this food have had significant historical influence? are the ingredients found in present day chocolate similar to those used millenniums ago? what types of techniques were involved in making chocolate hundreds, if not thousands of years ago?” A large percentage of people do not understand how influential chocolate, more specifically cacao, was during the earliest time periods is production. Furthermore, an awareness of the true history of the culture surrounding cacao. Some of the earliest civilizations to implement cacao as a main element of daily diet were the Maya and Aztec people. It is believed that the first civilization to use cacao was the Olmec people dating back to 1500 BCE. However, it was not until the Maya and Aztec civilizations that the production of cacao was recorded. They would “harvest the beans from cacao trees… ferment and dry them, roast them, remove their shells, and ground them into paste. They often combined this paste with water, cornmeal, chili peppers, and other spices, then poured the spicy, bitter mixture back and forth between two containers to create a frothy head” (Howstuffworks). 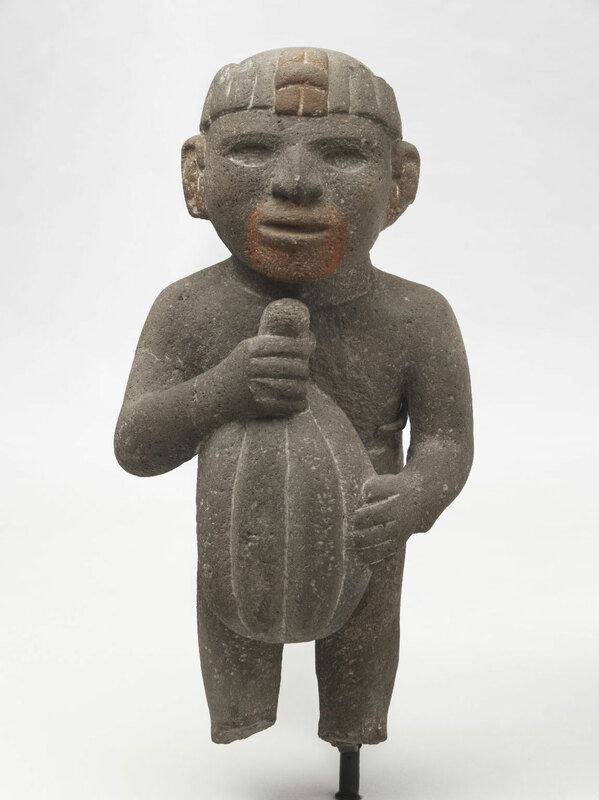 The “frothy head” was considered the most desirable aspect of the drink to the Maya and Aztec people (Coe & Coe, 2013). The final product had a very bitter taste, but cacao was looked upon in such high regard that the Mayans called it the “food of the gods” (Godiva). Cacao was available to people of all classes, which resulted in the bean making a large presence in the Maya culture. Cacao was consumed, used in marriage rituals, sacrificed to gods, implemented as a currency, placed in graves, and given as medicine. The Maya consumed the cacao beverage warm. Royal elites of the Maya would consume the cacao beverage at the end of meals with different spices such as vanilla and flowers. While the middle and lower class would enjoy cacao with less expensive ingredients (Howstuffworks). In marriage, “the bride would give the bridegroom a small stool painted in colors, and also gives him five grains of cacao” (Coe & Coe, 2013). Here we see that the exchange of cacao between bridge and groom was used to seal marriage ceremonies. It also important to note cacao was served while the father of the bride and the groom would sit to discuss the marriage (Martin, 2019). Cacao was often called the “food of the gods”. Furthermore, the Maya worshiped the God, Ek Chuaj (seen below), who was the patron of cacao and had a festival each April. The sacrifices during the holiday included offerings of cacao (ricochetscience). As a currency, cacao beans were used as a bargaining tool to exchange for everyday items like cloths and food. The True History of Chocolate gives insight into the varying prices for different goods. The example, “a rabbit was worth about ten of these “almonds,” eight chicosapote fruits were worth four “almonds,” a slave about a hundred of them, and the services of a prostitute, eight to ten “according to how they agree,” provides a clear value of cacao bean within the Mayan rule (Coe &Coe 2013). The final use of cacao was medicine. Cacao was prescribed as a cure for digestive problems, anesthetic, and anti-inflammatory purposes (Martin, 2019). When comparing the Maya and Aztec uses of cacao, we see that there are many overlaps in cultural aspects. Similar to the Maya, Aztec peoples used cacao as a food, currency, divine sacrifice, and for medicinal purposes (Chocolate.org). The main differences between the two cultures is found with in the minor details of the categories mentioned above. Unlike the Maya, the Aztec people would consume the cacao beverage cold. Additionally, the cacao drink was not widely spread throughout social classes of the Aztecs. The drink was more expensive to make, due to the importance cacao beans as a main form of currency, so only upper-class citizens would enjoy it frequently. The lower-class citizens would only enjoy cacao on very special occasions (Godiva). The Aztec took cacao as currency to different levels compared to the Maya. As it was the main form of currency and more valuable than gold. The cacao beans were taxed and held a strict price level for trade (Chocolate.org). The cacao was used as a form of “ready cash” which was used to buy anything from small household items to farm animals (Coe & Coe, 2013). Lastly, the Aztec would use cacao for a variety of medical treatments, like the Maya, which included fevers, skin eruptions, and seizures (Martin, 2019). In the image above we see an Aztec glyphic of two individuals worshiping a cacao tree and its produce. The Maya and Aztec had similar ideologies on the cacao bean as something of divine nature. The two Mesoamerican civilizations are the reason chocolate is so popular today. If it wasn’t for the European invasion, the chocolate we eat so much of today could have played an extremely different role in our everyday lives. Hudson Ltd: London, 2013. Print. Martin, Carla. “Chocolate, Culture, And The Politics Of Food”. 2019. Lecture slides. Today we consume chocolate when we crave something sweet, as a warm drink on a cold day, or to acknowledge the ones we love on Valentine’s Day. Chocolate is a part of our day to day life as an indulgence. However, the culture of chocolate has developed and changed throughout the centuries. The first uses and production of cacao can be tracked all the way back to Pre-Columbian civilizations where it was valued greater than a delicious treat. Chocolate and cacao were staples in Pre-Columbian traditions, religion, status, and health and are portrayed in several artifacts and evidence we use to study the history today. Thanks to companies such as Hersey’s or Ghirardelli, chocolate is consistently at an easy access and takes just minutes to retrieve from a nearby convenience store. The process of chocolate making has not always been this simple and to Pre-Columbian civilizations, the making of cacao was a unique experience and the end result was never a bar of milk chocolate. There were various methods of using cacao beans depending on the outcome these people desired. In “The Bitter and Sweet of Chocolate in Europe”, it is expressed that cacao could be made into ritual offerings, beverages, and even currency during this time period. Inscriptions on “monogrammed vases”, such as the one below, strongly reflect how the Mesoamericans “invested meaning in cacao” through their consumption and production (Martin and Sampeck, 39). Through these and many other inscriptions, we are able to understand the presence of cacao and chocolate through one’s life during marriage rituals, religious practices, and at funerals. At marriages, chocolate beverages were shared between the groom and the bride’s father during a pre-martial discussion. In contrast, cacao was dried and dyed red during funeral processions and was believed to ease the soul into the afterlife, as portrayed in the image below. These chocolate beverages were prepared in a way very sacred to Mesoamericans. It was made with a frothy foam that was believed to be for the soul. Cacao was highly emphasized in religion with the Mayas as they believed “cacao was discovered by the gods in a mountain and was to be given to the people following their creation,” (St Jean, 1). Ek Chuah was believed to be the Cacao God and the cacao tree resembled one of the Maya’s most prized possessions. Other Maya gods, such as the Maize God were often represented as cacao pods and trees in inscriptions revealing the importance of these Pre-Columbian rituals and beliefs. The term “World Tree” is used to describe the center of the universe connecting Gods, Sky, Earth and the Underworld. The World Tree was also essential for maintaining the cycle of life, death, and rebirth. Often, deities are represented as these World Trees in several artifacts. Different civilizations had trees that they believed was their World Tree and for cacao-growing regions, it was the cacao tree. As previously mentioned, cacao was also used as currency during this era. An Aztec document, the Nahuatl, contains a list of conversions from cacao beans to other various goods. “A male turkey is worth 200 cacao beans. A hare or forest rabbit is worth 100 cacao beans each.A small rabbit is worth 30. One turkey egg is worth 3 cacao beans. An avocado newly picked is worth 3 cacao beans; when an avocado is fully ripe it will be equivalent to one cacao bean,” (Nahuatl, 1545). According to “The Bitter and Sweet of Chocolate in Europe”, this was likely due to a currency crisis and a lack of small denominations (Martin and Sampeck, 41). In fact, cacao was also the target of counterfeiting and Mesoamericans would often empty the beans and fill them with mud of the equivalent weight. Cacao was so precious to these individuals that it was difficult for those with cacao plants to give up this good in exchange for something else. For this reason, cacao was a very practical instrument of currency, (A Tasty Currency, 8). The importance of cacao in the Pre-Columbian era can be examined in artifacts and documents dating back to the 15thcentury. Their beliefs and culture revolved around these trees and pods that they idolized from birth to death and everything in between. The production meant much more to them than imagining a Hersey’s chocolate factory spitting out wrapped desserts. The Mayas and Aztecs worshipped their World Tree and chocolate as a beverage, a death rite, a currency, and the representation of their Gods. Martin, Carla. “Mesoamerica and the ‘food of the gods’.” February 6 2018. “Museum of the National Bank of Belgium.” A Tasty Currency: Cocoa – Museum of the National Bank of Belgium, http://www.nbbmuseum.be/en/2013/03/kakao.htm. St Jean, Julie. “Medicinal and Ritualistic Uses for Chocolate in Mesoamerica – HeritageDaily – Archaeology News.” HeritageDaily, 4 May 2018, http://www.heritagedaily.com/2018/02/medicinal-and-ritualistic-uses-for-chocolate-in-mesoamerica-2/98809. We are a species that seeks to discover all of the wonders of this world so that we may collect and consume them of our own volition. Everyday items that are utilized such as minerals, oil, money, and food are things we collectively yearn for, and there is no limit to what will satisfy our appetite. Among these everyday items exists one that has been a part of our history for as long as we can remember. Cacao plants and what can be created with them have navigated their way into our hearts, minds and influence our appetites daily. Whether it be beans, liquids, or solid chocolate bars, we have become far more engrossed with Cacao than those who originally possessed it long ago. These Ancient civilizations, which consisted of Mesoamerican’s such as the Olmec, Maya, and Aztec’s utilized Cacao in a controlled and market fashion similar to our own. However, we are on a much different playing field than they were back then. As early as 900 AD is when it is believed that the Mayans discovered the Cacao plant. Almost immediately afterwards did the plant and it’s properties become ingrained into every faucet of life during the height of Mesoamerican society. The Olmec, Maya, and Aztec’s each ensured that the Cacao which was produced, was shared with royalty before any other societal class. It is fascinating to think about how the Cacao they were producing quickly became an important part of their lifestyles. Their understanding of it and its significance in regard to their culture during this time period laid the groundwork for how we indulge in the delicacies we have today. Additionally, it was during this era that Cacao began to take different forms that we have simply grown to know as Chocolate. Chocolate beverages were of the most popular amongst rulers that had the power to obtain large portions of Cacao, and they were usually representative of one’s nobility as well as one’s wealth during extravagant parties. Aside from that, there were a number of other uses those with access to Cacao stumbled upon. 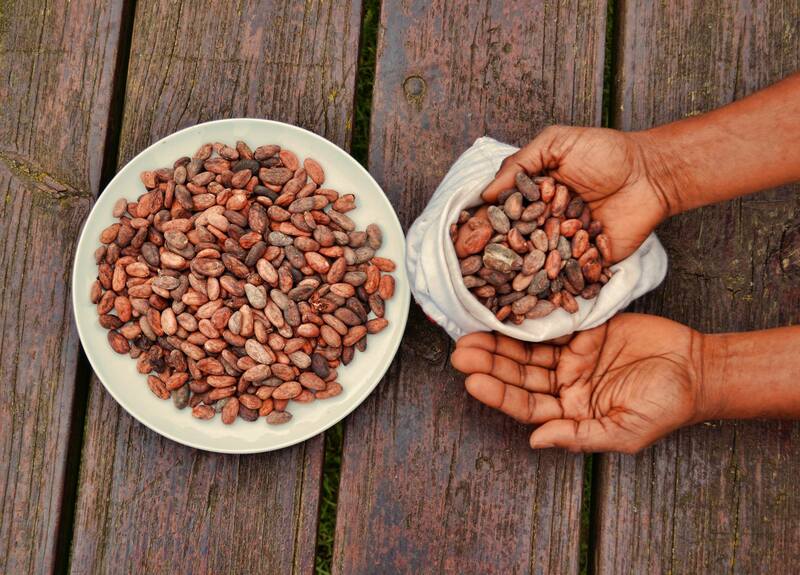 Considering the scarcity amongst common folk, the beans from the Cacao plant became a form of currency. Slightly more disturbing was it’s use in ceremonies where a selected citizen was sacrificed to the Gods and consumed copious amounts of chocolate before being killed. It is safe to say that the obsession this era had with Cacao is the reason why we cannot get enough of it now. Due to how the Cacao plant was held in such high regard by those in power, as well as the way the common folk idolized it since they lacked an abundance of said delicacy at their disposal during this time period, it comes to no surprise how that influence has undoubtedly played a role in the market we have today. So, with all that being said what does that mean for us today? In what ways were the Mesoamericans influential in the way we produce and consume our Cacao? For one, the chocolate beverage these people were so obsessed with has soared to heights no one could have imagined. Whether it be coffee, milkshakes, or hot chocolate, Cacao has evolved into something everyone craves. Coffee being the most predominant of the chocolate drinks, as it has been commercialized and sold to a market that has fallen in love with the tasty beverage. Starbucks, Hershey, Godiva, the list goes on. These companies that practice selling Cacao in its newly fashioned state have identified what makes it so special and have capitalized on it. Firstly, the healthy abundance of Chocolate as well as how affordable it is in the United States allows citizens to consume as much of the popular product, more so than that of a noble person during the Mesoamerican era. Coupled with their ability to mass produce chocolate in multiple ways while simultaneously producing new ways to sell it, they have effectively created a system in which they can sell us cacao in any shape or form and we will still purchase it. Although we do not force individuals to consume chocolate before sacrificing one another to the Gods, it is still revered as something that everyone cherishes deeply, almost on a ritualistic level. Valentine’s Day, birthday’s, treats, snacks etc. Whatever your preference may be, chocolate is a delicacy that is near and dear to millions and for some it is considered a blessing to receive it as a gift. Now although Cacao (or chocolate) in this instance is an important product in circulation around the globe, some issues do arise with how it is produced and what that may look like for us in the future. As I stated earlier, Cacao has been highly influential in our market. It’s found on every corner in the U.S. as well as thriving sections of the world. Yet we are not truly indulging in a complete Cacao product. A vast majority of the companies making a profit off of chocolate are working with a product that is for the majority, made up of sugar. Compared to our Mesoamerican ancestors, we are consuming far less Cacao than we are sugar whenever we enjoy a delicious Cacao “treat.” Perhaps this is done in part to sustain the Cacao plants for a bit longer. However, the production of processed Cacao is not allowing people to experience it as the Aztecs, Maya and Olmec did. Because of this, we may reach a point in society where Cacao no longer exists in any of the “chocolate” products we consume and a vast majority would be none the wiser. Garthwaite, Josie. “What We Know About the Earliest History of Chocolate.” Smithsonian.com, Smithsonian Institution, 12 Feb. 2015, http://www.smithsonianmag.com/history/archaeology-chocolate-180954243/. 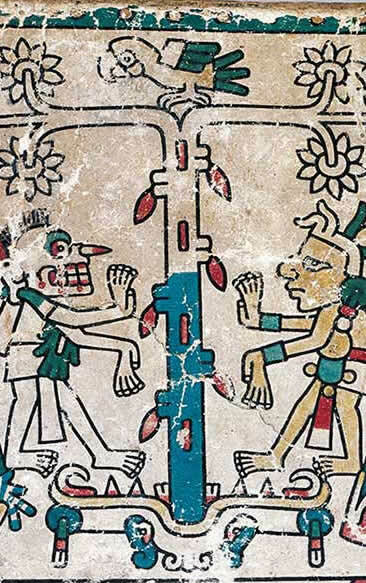 The History of Chocolate: The Mayans and Aztecs, http://www.godivachocolates.co.uk/the-history-of-chocolate-mayans-aztecs.html. Cartwright, Mark. “Chocolate in Mesoamerica.” Ancient History Encyclopedia, Ancient History Encyclopedia, 14 Mar. 2019, http://www.ancient.eu/Chocolate_in_Mesoamerica/.